Condemnation appraisal services - Saxton Appraisals, Inc.
What is a condemnation appraisal? Eminent domain gives the government the right to "condemn" property, forcing the owner to sell it for public use. However, the owner of the property has a constitutional right to "just" compensation—a "fair and reasonable" payment in exchange for the property. But what's considered "fair and reasonable"? That’s where we come in. A professional appraisal (performed under Uniform Standards of Professional Appraisal Practice, or USPAP standards) is the strongest evidence of your property value—the "just" compensation you're entitled to. Saxton Appraisals, Inc. can also help governments determine "just" compensation in eminent domain cases. A USPAP-compliant appraisal is the best way to determine the market value of any property, ensuring a "fair and reasonable" price for both parties. Get in touch if you need a local professional to perform an appraisal on a condemned property. Why do I need an experienced appraiser? Condemnations are complicated and have a big impact on property owners, so it’s important to hire an appraiser with experience in condemnation appraisals. A federal condemnation has different requirements than a state or local condemnation, and even jurisdictions proposing to condemn the property usually have their own appraisal rules—so you shouldn't take a chance on an appraiser that isn’t familiar with the specific rules, analyses, and format required. 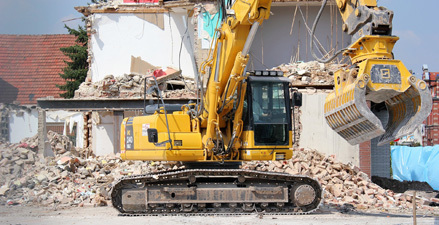 Some eminent domain cases only require certain pieces of a property, rather than the entire plot of land—and these cases can get complicated. The appraiser must estimate the value of the "larger parcel" of land—the property that the government is acquiring—and the "remainder" of the property—the property that the current owner will keep after the condemnation. Because a large, continuous plot of land typically has a higher value per square foot than a small piece of land wedged between two occupied plots, estimating the value can be tricky. In other cases, the current owner of the eminent domain property still has rights or partial rights to use the land, which can also muddle the valuation process. Each of these scenarios requires the expertise of a seasoned appraiser that’s familiar with how government seizure affects property value. Appraisers always consider a property's "highest and best use" when estimating the value. For many condemnation appraisals, the highest and best use of the property needs to be determined both before the condemnation, and again after it's been developed by the government, since the conclusion can change significantly when the land’s use changes and structures are added or removed. Again, these situations require the knowledge of an expert appraiser that fully understands the "highest and best use" of land and how it fluctuates. Because appraisers often have to testify about their condemnation appraisals, certain steps in the valuation process—like selecting and analyzing comparable sales (comps)—must be thoroughly considered. Since you rely on your appraiser to know what's appropriate and necessary for an accurate appraisal, it's important to select an appraiser that has extensive experience and training. Here at Saxton Appraisals, Inc., we have the qualifications and experience necessary to perform your condemnation appraisal accurately, equipping you with solid support for the "just" compensation you're entitled to. If you're ready to order an eminent domain appraisal, click here.